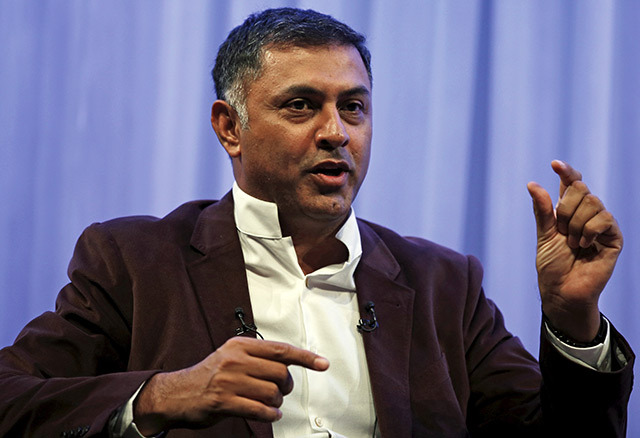 Nikesh Arora, who is stepping down as president and chief operating officer of SoftBank Group Corp, said on Tuesday he is leaving because he didn’t want to wait a long time for chairman and CEO Masayoshi Son to let him take charge of the Japanese telecommunications and Internet company. “Didn't want to be CEO in waiting past my sell by date,” tweeted Arora, who was widely seen as the successor to Son. Arora was flooded with questions from well-wishers and followers over the micro-blogging platform after a tweet on his decision to move on from SoftBank. “Masa 2 continue 2 be CEO for 5-10 years, respect that. Learnt a lot. Clean chit from board after through (sic) review. Time for me to move on,” he tweeted, using a short norm for Masayoshi Son and referring to a panel that cleared of any allegations of wrongdoing made by a group of investors. Arora responded to most queries through more than 100 tweets posted over three hours. He even took questions that alluded that his sudden exit was linked to the complaint made against him by a bunch of SoftBank investors. Meanwhile, according to a report in The Wall Street Journal SoftBank founder and chief executive Masayoshi Son, too, said he planned to continue as the CEO longer than he had planned. “I was thinking of handing over my job as CEO when I turn 60, but thought maybe I’m still a bit too young, and still have energy to continue,” the 58-year-old Mr. Son said in the report. On Twitter, Arora showed his funny side in his responses. @nikesharora what is next ?? He also had fun mentioning that his resignation coincided with Reserve Bank of India governor Raghuram Rajan’s decision to step down.